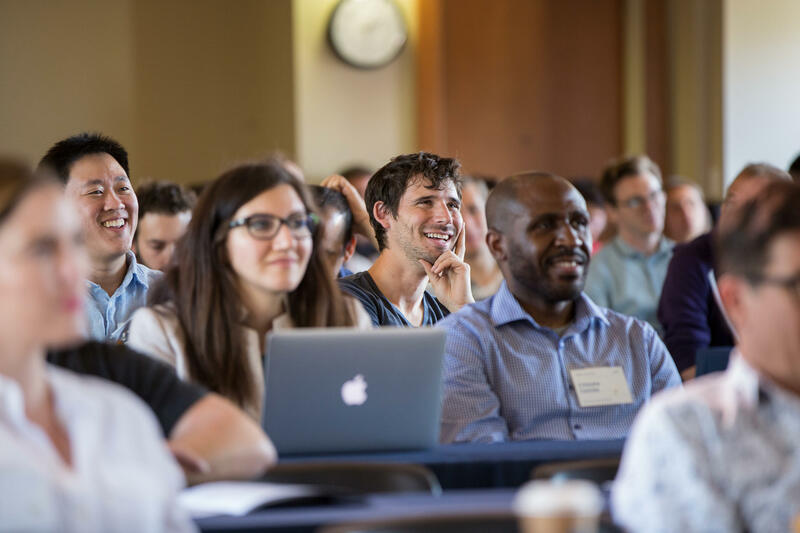 Now in its seventh year, True U (June 12-13 at Berkeley) is a two day startup school fostering learning and collaboration between more than 350 attendees from the True Ventures portfolio. We at True believe deeply in the power of an engaged community and seek to expose our Founders and their employees from our 130+ companies to thought leaders and experts from every element of the startup process. True U prepares attendees become better leaders, stronger teammates and more empathetic humans as they take part in workshops in areas including sales & marketing, leadership, culture, design, engineering and more. JOIN US TO BE INSPIRED. Now in its seventh year, True U fosters learning and collaboration between more than 350 attendees from the True Ventures portfolio. We at True believe deeply in the power of an engaged community and seek to expose our Founders and their employees from our 130+ companies to thought leaders and experts from every element of the startup process. True U prepares participants to become better leaders, stronger teammates and more empathetic humans as they take part in workshops in areas including sales and marketing, leadership, culture, design, engineering and more. In response to participant feedback and for the first time ever, we will be offering a special opt-in third day of True University. It will be a leadership workshop and will be available for True University attendees on Wednesday, June 14. We highly recommend this session for anyone interested in building their skills as a leader in a high-growth startup. In this day-long interactive leadership intensive, you will learn how to lead as coach, first of yourself, then of your teams and your organizations. The journey will start with honing your vision for who you truly aspire to be as leader, will go deeply into how you balance yourself and keep learning in times of challenge, and will conclude with how you coach yourself and others - both one-on-one and one-to-many - to see every moment, interaction and change as an opportunity for presence, learning, contribution and excellence. he True University Leadership Intensive is open to all True University 2017 attendees. Separate registration is required, however; please click on the button below to apply to participate in this special one-day session. Day Three (Wednesday) requires separate registration from the standard True U program (Monday and Tuesday). The True University Leadership Intensive is open to all True University 2017 attendees. Separate registration is required; please click on the "Apply Now!" button at left to apply to participate in this special one-day session.